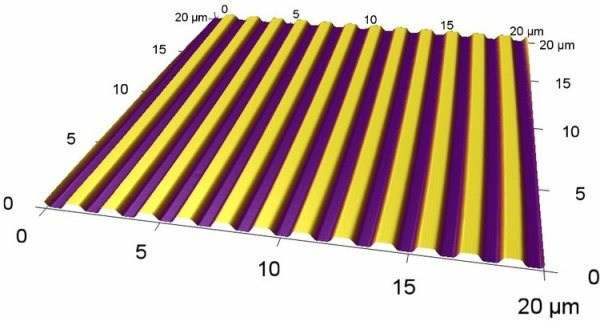 The NanoSurface Cytostretcher allows researchers to investigate both tissue-level mechanical strain and microenvironmental cues at the same time. 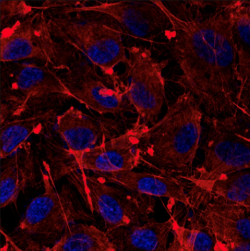 The Cytostretcher family of instruments is a powerful and easy-to-use integrated solution for cell mechanics research. The Cytostretcher and Cytostretcher-LV empower you to gain new insights into the relationship between the cell and its microenvironment – important for nearly all mammalian cell types. 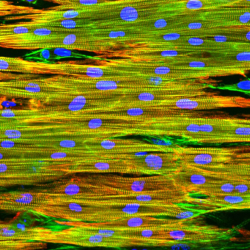 NanoSurface's patterning technology provides structural cues that recapitulate the native ECM within flexible stretching chambers. The included NaOMI software provides total experimental control in a clean, intuitive interface. The flexibility and power of the Cytostretcher family of instruments ensures that every cell stretching experiment can be implemented with ease and precision. NanoSurface's Cytostretcher family of instruments stretch flexible cell culture chambers to provide cyclic mechanical strain to cultured cells. 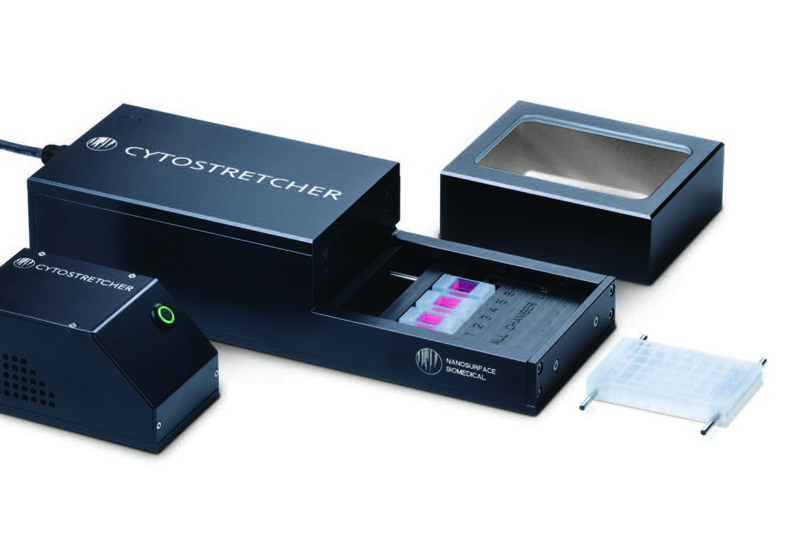 Use the Cytostretcher to stretch cells on the bench-top or in a cell culture incubator. 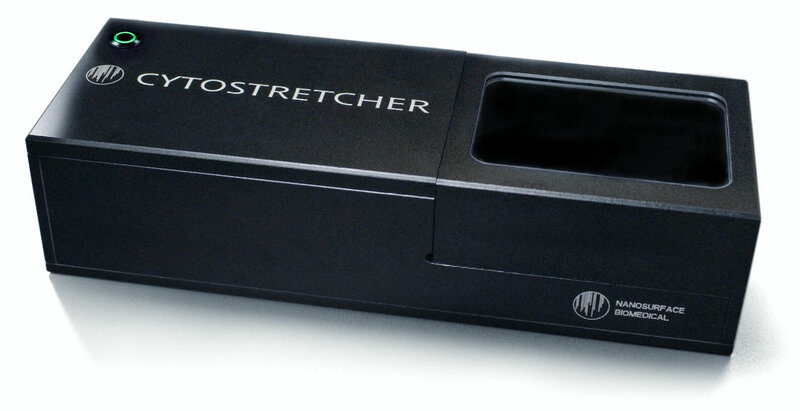 Use the Cytostretcher-LV to perform stretching experiments on an optical microscope. It features a small footprint and self-contained design without bulky external controllers. Elastomeric cell culture chambers are available in several sizes. Use standard chambers with unpatterned "flat" surface topography, or NanoSurface chambers, with biomimetic nanoscale surface topography. NanoSurface nanopatterned culture surfaces provide a cellular microenvironment that mimics the aligned architecture of the native extracellular matrix, promoting cellular structural and functional development. The NanoSurface Cytostretcher integrates flexible NanoSurface culture chambers with the ability to stimulate your cultures with cyclic mechanical stretch. Versatile software enables programming of a wide array of stretch protocols for tremendous investigative flexibility. View our Cell Cultureware line of products. The NanoSurface Operational Mechanics Interface, NaOMI, enables complete control of stretching parameters and cyclic strain protocols for maximum investigative flexibility. 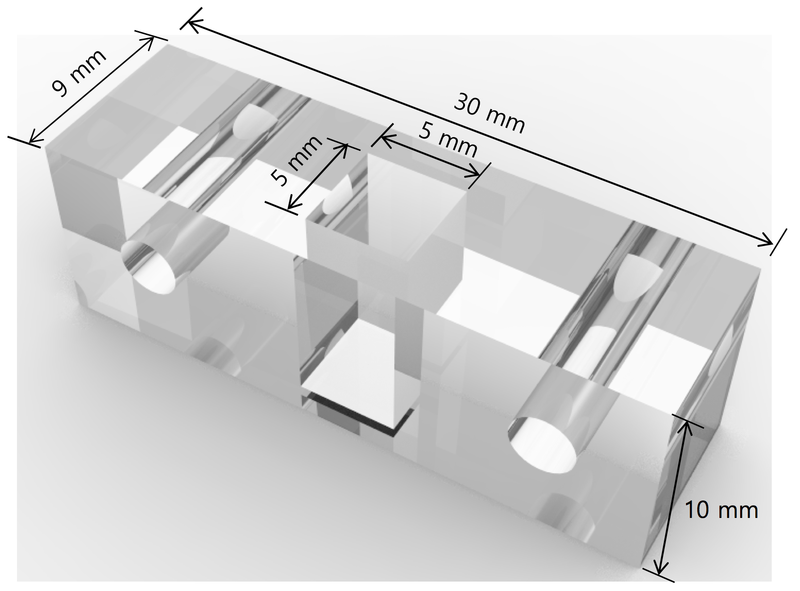 Compatible with both Windows and Mac OS, NaOMI software provides a straighforward and powerful user interface for automated operation of the NanoSurface Cytostretcher. USB connectivity allows for easy operation. Software logging automatically records experimental details. Users can program elongation length, holding time, and stretching speed independently for each stretch cycle. 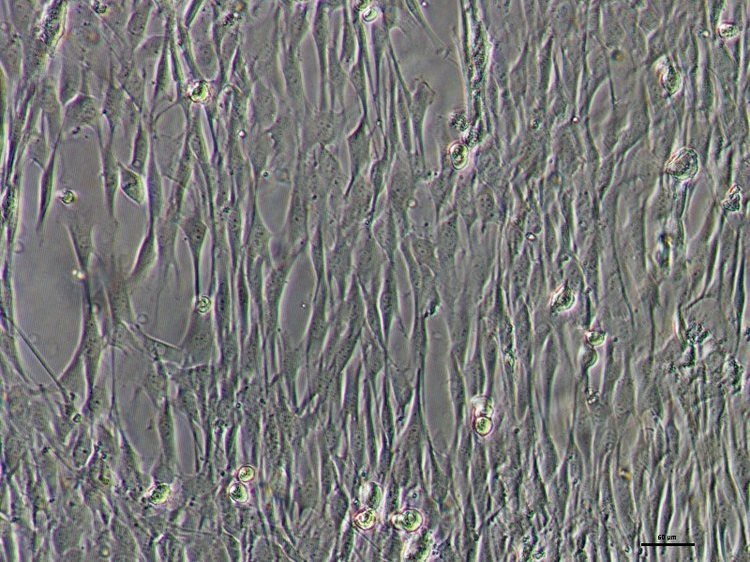 Endothelial cell culture on a NanoSurface dish (left) vs. a conventional dish (right). 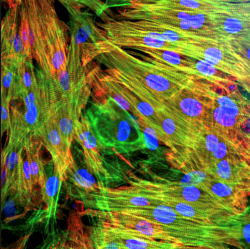 Cardiomyocyte cell culture on a NanoSurface dish (left) vs. a conventional dish (right). 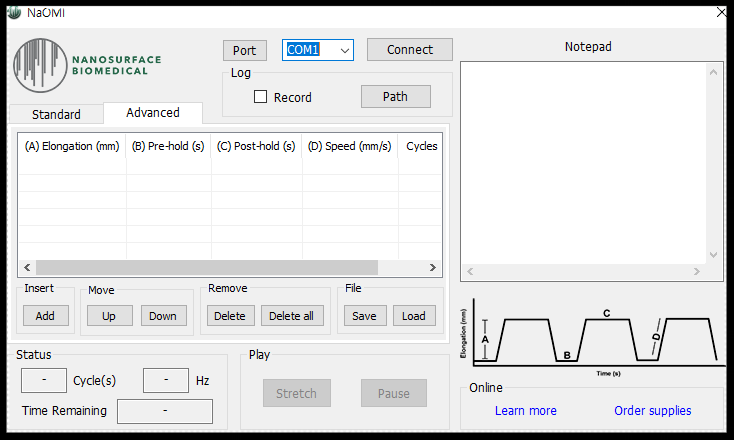 Stretch Protocol Fully customizable: cyclic, ramp, sine wave, etc. 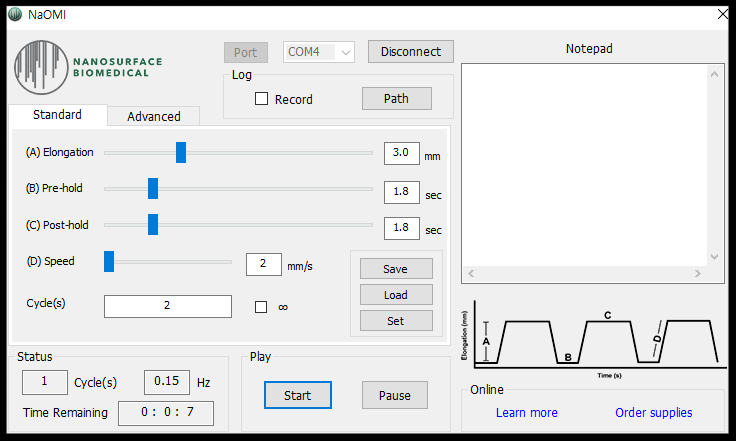 Fully customizable: cyclic, ramp, sine wave, etc. The Cytostretcher is extremely compact, easily integrating into your existing cell culture workflow. It can be operated on the benchtop or alongside other cultures inside a standard cell culture incubator, saving valuable space. The Cytostretcher Control Unit is a small, lightweight module that can be magnetically attached to the exterior of a cell culture incubator. Flexible Cytostretcher Chambers are available in a variety of formats, so you can mechanically condition many cultures in parallel. Larger chambers offer more culture area (up to 25 cm2). Smaller chambers offer higher throughput (up to 24 wells). Unparalleled experimental flexibility: program highly customized stretch routines. Versatile and intuitive NaOMI software makes programming fast and easy. No bulky external controllers. 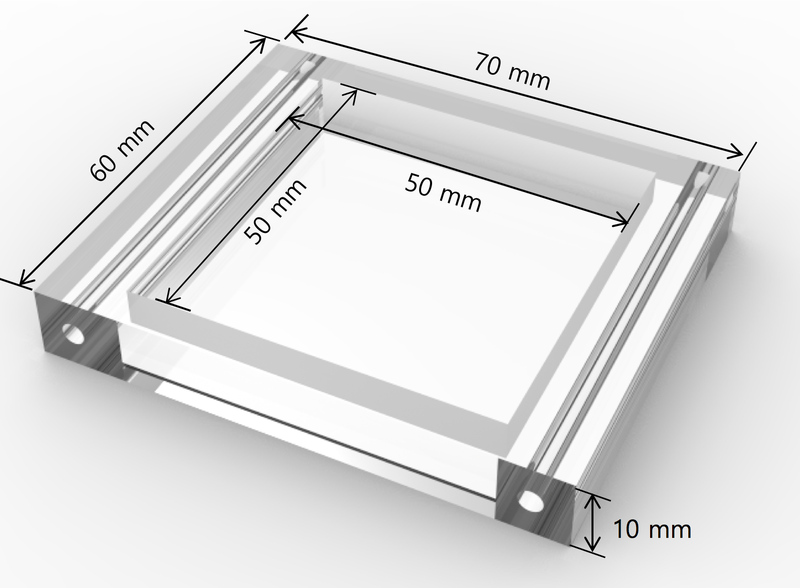 Small footprint: 300 x 100 x 60 mm. Use the Cytostretcher alongside other cultures in your cell culture incubator. Parallel operation: control many Cytostretchers with a single computer. Throughput: 1 CS-2500, 3 CS-0144, or 6 CS-0025 parallel stretching chambers per Cytostretcher. Configure with up to six 25 mm2 wells or one 144 mm2 chamber. The Cytostretcher-LV is the only cell mechanical stimulation system that enables consistent sample focus during stretch. 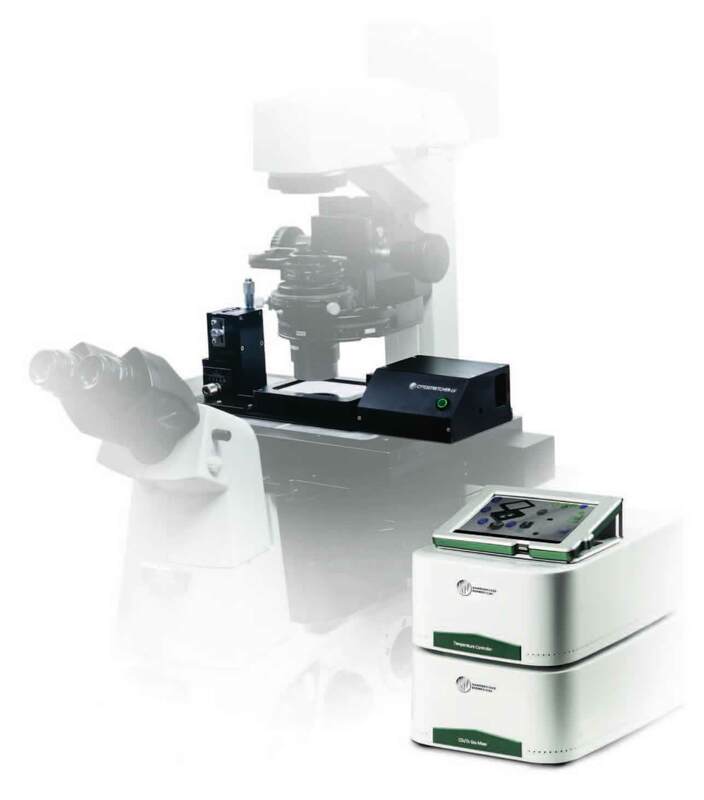 Allows for broad compatibility with many industry standard microscopes and stages. Other mount options are available upon request. A touch-panel interface provides easy control of culture conditions. The Environmental Control Unit (ECU) is a microscope stagetop incubator that provides complete control of biological culture conditions, including temperature, humidity, and CO2 concentration. An included thermal camera allows for quick and continuous monitoring of sample temperature. Image live cells during your stretch routines. 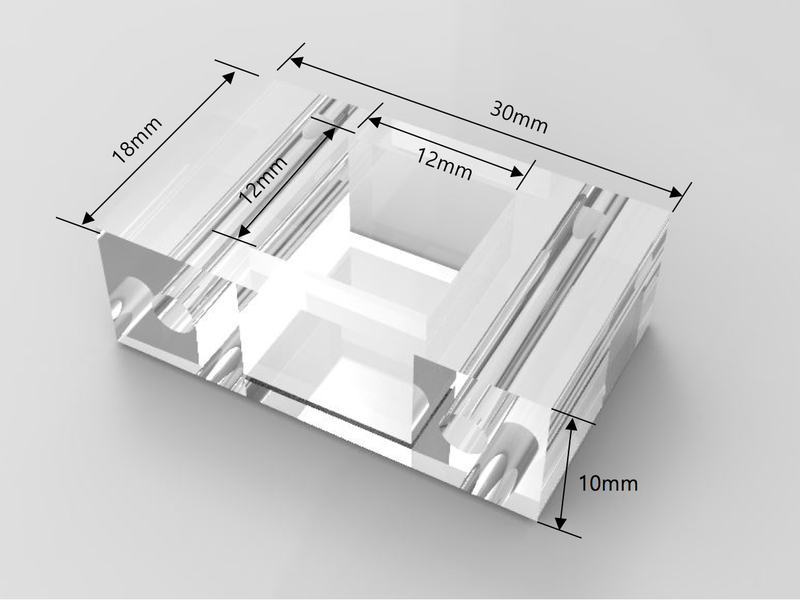 The Cytostretcher-LV and Cytostretcher Chambers are compatible with transmitted light and high-NA fluorescence microscopy, including immersion objectives. For use with the NanoSurface Cytostretcher. 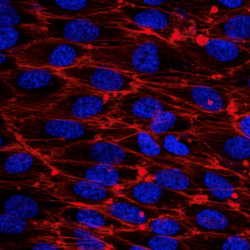 Use these flexible culture chambers to apply mechanical stimulation to cultured cells. Made from flexible elastomer.